From April to August, we're giving away bike gear every month! You've all been wonderful and Vie Cycle wants to thank you for your support by giving you the chance to win something wonderful every month from now and until August. ​We believe that excellent gear that makes you feel comfortable and cool will influence you to ride more. PROVE US RIGHT! May Giveaway: Smitten Kitten gloves from Shebeest! Want to win these snazzy cycling gloves? All you've got to do is click the button below and fill out a short survey about bike safety. ​A winner will be selected on May 4th, 2019. They will be contacted via email. "I'm Kathryn. I started riding pretty seriously about 4 years ago, and I almost always ride in a big bike gang with my friends. I'm hoping this is the year that I finally overcome my fear of clip-in pedals." 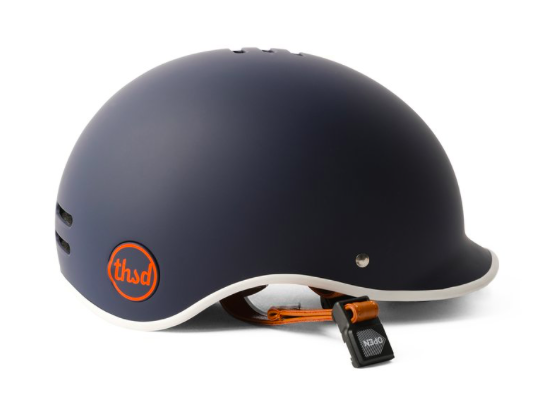 A stylish and expertly designed vegan bike helmet from Thousand. What Inspires Kathryn to ride? 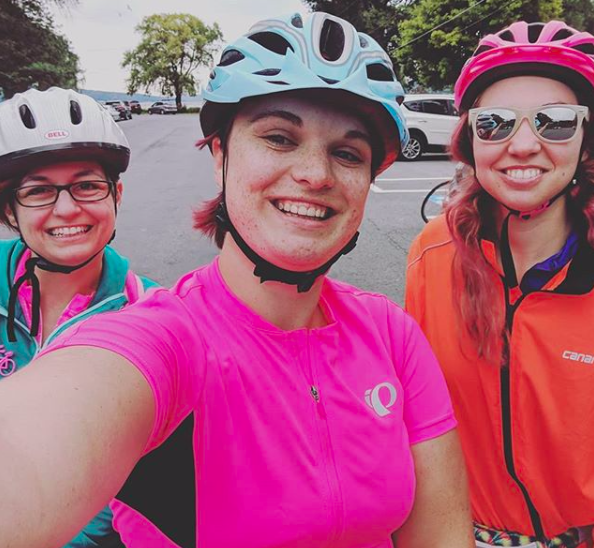 "Why it's my awesome biking friends who make every ride more fun!" This photo was taken right before setting on the 100 mile AIDS Ride for Life around Cayuga Lake in New York State in 2018.